Saturday, 15 Jun 2019 at 9:30 AM . Customers will need to print and display their DogFest Car Park Pass - this needs to be placed in your windscreen before entering Tatton Park. This ticket can only be purchased with a VIP DAY TICKET or a VIP DAY TICKET ticket. Don't miss out, book your tickets to register for the Fun Dog Show to ensure your entry at the show. The Fun Dog Show, sponsored by Billy and Margot, takes place over both days of the weekend, in four Fun Dog Show Rings. Please Note: Entries are £2 per category online and £3 on the day. Please check the times of each category when you book your tickets. 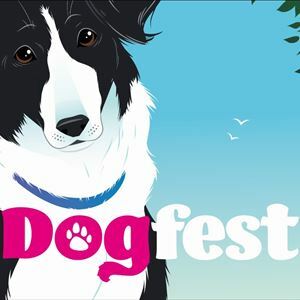 See the DogFest website for the times of the Finals. [1+ years] More commonly known as Best Male Dog. See DogFest Website for full description. You will only need to enter each category once.